India is awaiting a response from Mauritius for revision of the tax treaty between the two nations, Finance Minister P Chidambaram said today. Among the changes proposed is the reworking of the Limitation of Benefit clause to ensure that shell companies are not used to route investments into India in order to escape tax. "In April 2013, Government of Mauritius sent another proposal on Limitation of Benefit (LOB) Article to Government of India. India has examined the Mauritius proposal and has sent detailed comments in May 2013. Response of Government of Mauritius is awaited," Chidambaram said in a written reply in the Rajya Sabha. The India-Mauritius Double Taxation Avoidance Convention (DTAC) was signed in 1982 as part of steps initiated by the two countries to strengthen the flow of investments to and from Mauritius. While the treaty has helped drive a significant flow of foreign investments to India through Mauritius, there have been concerns about suspected misuse of the pact for round-tripping of funds and laundering of illicit money by Indian entities through the Indian Ocean island nation. India sought to revise the treaty a few years ago, but the matter has dragged on for one reason or another. "India-Mauritius DTAC has been a subject matter of review since 1996," Chidambaram said. The two countries set up a Joint Working Group (JWG) in 2006 to put in place safeguards to prevent misuse of the treaty. After setting up the JWG, India again sent a proposal in 2011 to amend various articles of DTAC, including capital gains and LOB for prevention of treaty abuse, to which Mauritius sent their proposal in 2012, which did not satisfactorily address India's concerns, the minister said. Besides, Article 13 in the Indo-Mauritius DTAC allows payment of capital gains tax in India or Mauritius. 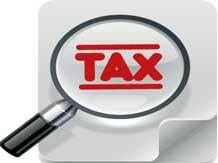 Companies opt to make the payment in Mauritius, which does not levy a capital gains tax. India has been exerting pressure on Mauritius to revise the DTAC since 2006 to curb the menace of tax evasion by companies and foreign financial institutions registered in the island nation.